All 32 Bed Bath and Beyond online coupons have been verified and tested today! With the store credit card. Beyond+ is a program design to help loyal customers, like you, to save more every time you buy anything, either online or in-store. With just $29 a year, you will get benefits beyond that of regular shoppers. If you make purchases more than $150 in a year, this is a great deal for you. Make sure to read the policy for Beyond+ before you sign up to see if it's worth it for you. You can always get free shipping when you shop online at Bed Bath & Beyond when you make purchases from $39 and above. Another way to get free shipping is to order out-of-stock products. If you order an item online and it’s out of stock at the moment, the store will backorder it for you and pay for the shipping cost as well. You don't always need a Bed Bath & Beyond coupon code for free shipping to get free shipping. Make sure to check the Bed Bath & Beyond website during big clearance event because you can get any item it's the lowest price. Essential home items, such as small appliances, can be discounted for up to 80% off! Just visit the website, click on a department, and then go to Clearance & Savings. 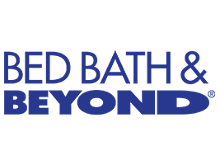 If you have a Bed Bath & Beyond coupon, you can use it to shop during the clearance to get more jaw-dropping deals. Want a steady supply of Bed Bath & Beyond coupons? Then sign up for the weekly newsletter. You will then be able to access exclusive offers and promos straight to your inbox, two to three times a week. Want to check all the offers currently available? Just tap the “My Offers” button at the bottom of your screen to see them. When shopping in-store, you can also scan the barcode of your product to check its price or save it to your online shopping list to purchase it later on your laptop. You can use a Bed Bath & Beyond discount code that’s mailed to you via paper coupon to shop online. You can use one coupon per online transaction. Also, make sure your orders are above $39 to get free shipping. Did you buy a product at Bed Bath & Beyond and noticed that the price dropped a few days later? Make sure to have your receipt with you or your order confirmation if you purchased it online. Can’t find your receipt? The store can trace your purchase thanks to its computerized system, and you could still be able to receive the difference. The best thing about these price adjustments is that there’s a generous window for a refund. Bed Bath & Beyond could price adjust items that were purchased weeks before. Bed Bath & Beyond will price-match any in-stock item you find for a lower price on Amazon. This is only valid if both items are identical in every way. Take some time to scour the Amazon app and see if you can find the item in question for a lower price. Did you find it? Then, you can price-match at Bed Bath & Beyond and save. By doing this, you will save on single items. This policy only applies to items not sold by third parties and only on items shipped from the U.S.